Arx Control is a mobile app that, when used in conjunction with Logitech gaming keyboards, provides critical in-game and system information, serving as a second screen. 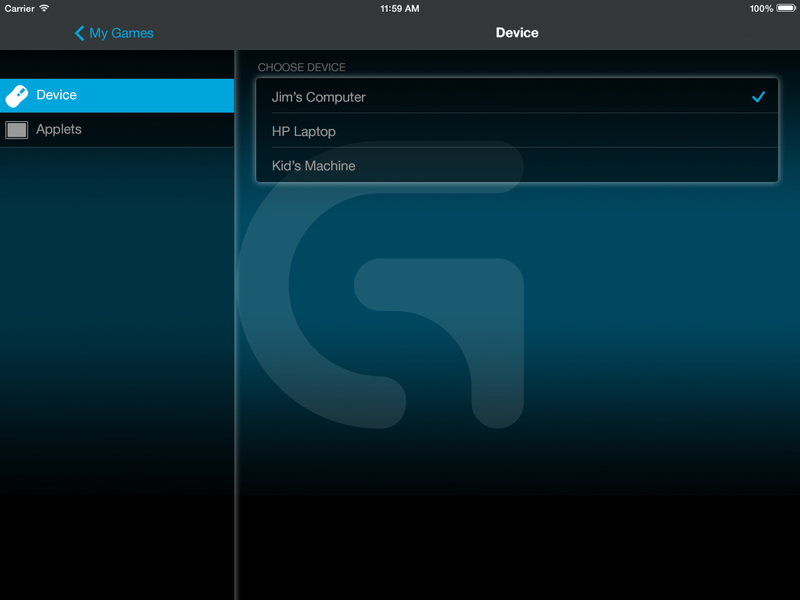 Developed for tablets and phones, the app lets gamers monitor and control peripheral devices without leaving their game, and provides a range of functions, including running game macros, troubleshooting/monitoring of system hardware, and controlling media or launching games remotely. I designed the UI and interaction of the mobile app. 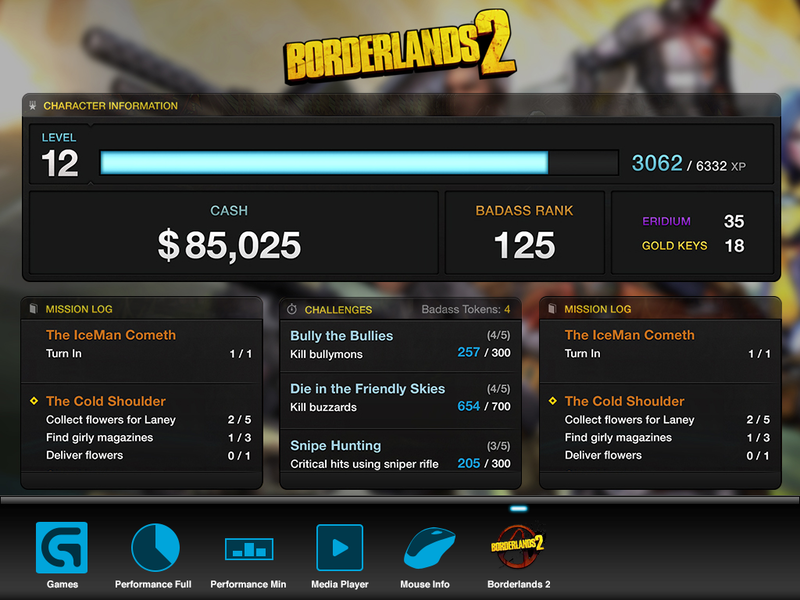 The visual design of Arx was based on the UI design of Logitech Gaming Software, which I also designed. 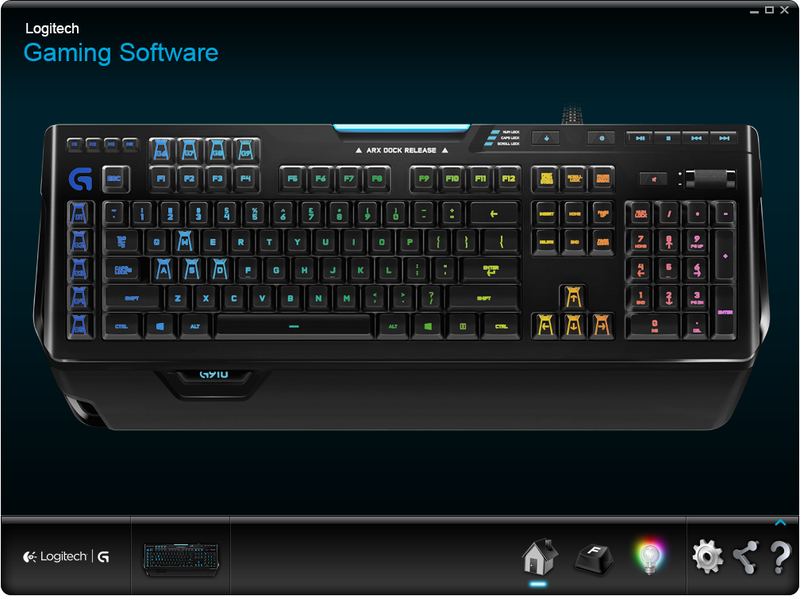 LGS is desktop software used to configure Logitech gaming devices (keyboards, mice, wheels, joysticks) and is characterized by a dark, blue and black color scheme. LGS is the forerunner of Arx. 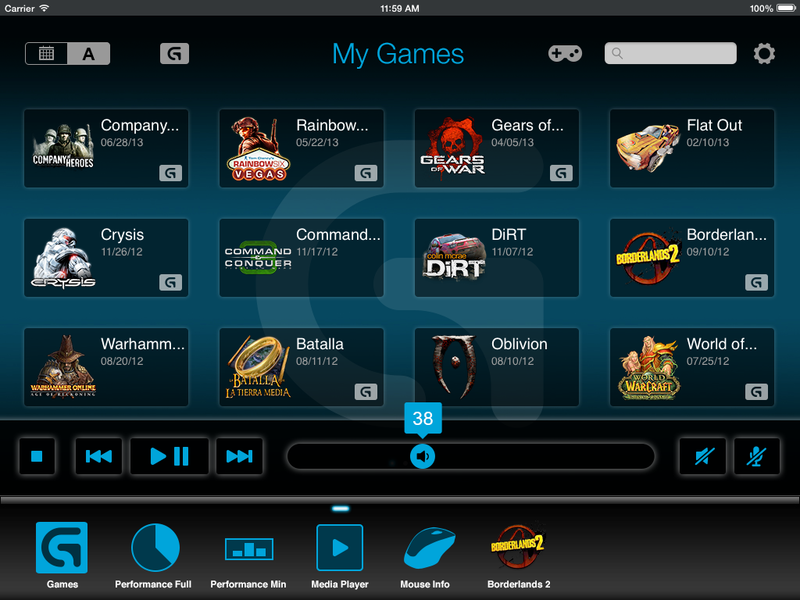 The home Arx UI is grouped into three main regions: an upper region providing filtering and search, a central region displaying installed game applets, and the bottom applet bar which displays icons for system and 3rd party applets. 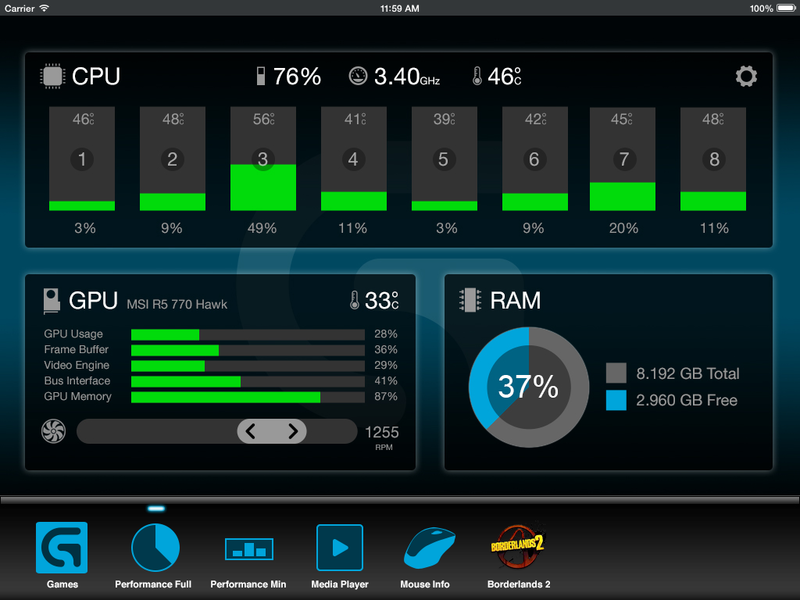 The performance monitor applet provides the ultimate in system stats: CPU load and temperature, GPU load and performance, and RAM usage. A slider is provided to manually adjust fan speed if desired. 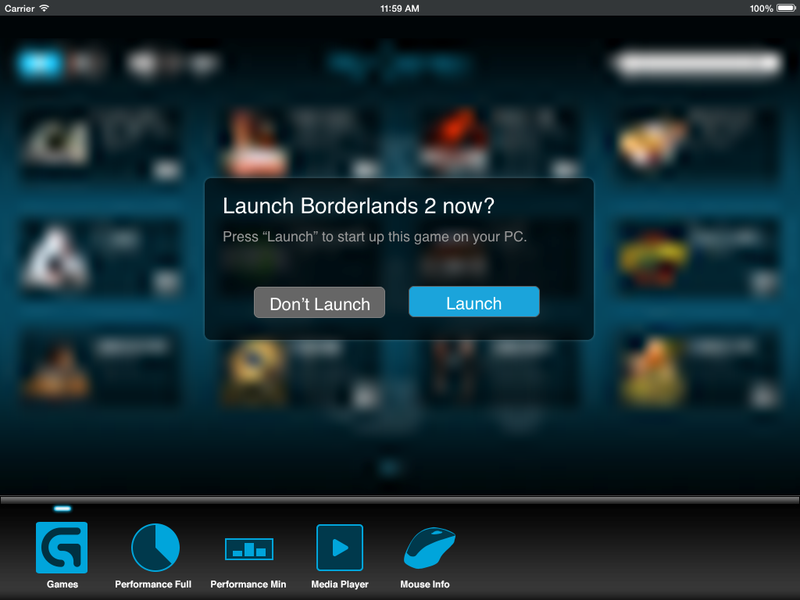 Not just for displaying game content, Arx also allows media control with an integrated player. 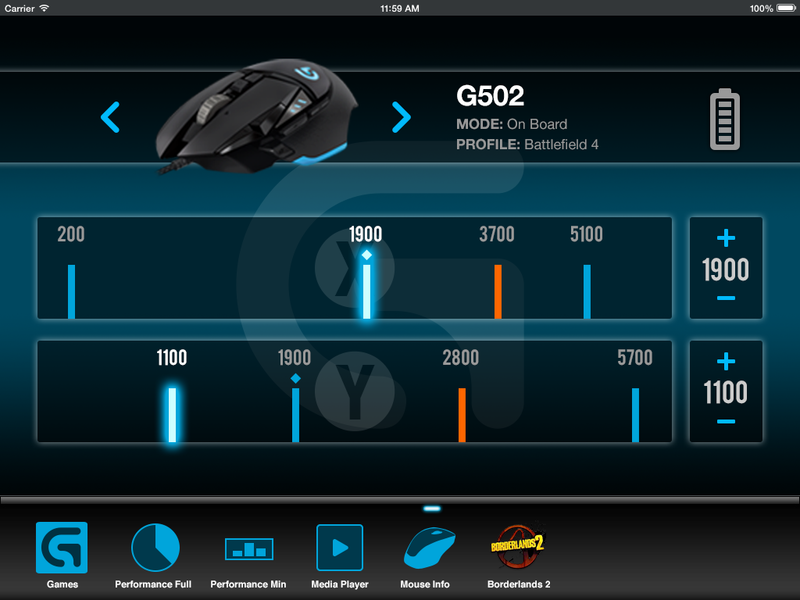 Arx displays the DPI settings for Logitech gaming mice, which can switch between multiple DPI settings for various game situations, in both X and Y axes. 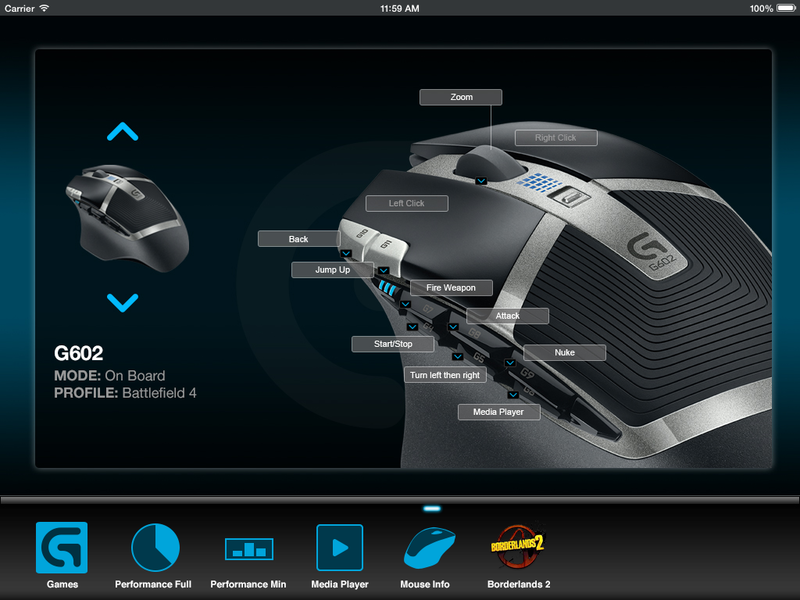 The Arx app displays hardware control configurations assigned by Logitech Gaming Software. The settings screen allows the user to choose the system it is connected to, and to enable/disable installed applets. The following screens show the implementation of Arx running on a smart phone. The tablet UI was adapted to fit the smaller form factor while preserving most of the tablet functionality. Click to toggle a sample of the launch animation displayed in Arx. 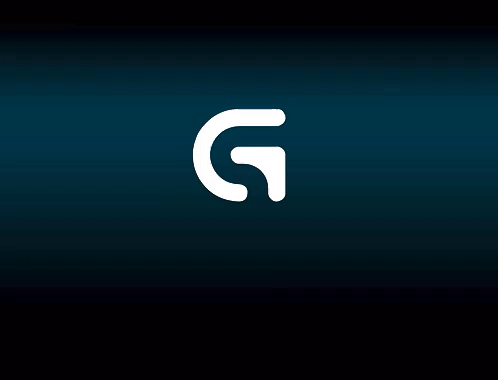 The launch process detects network connection, Logitech Gaming Software availability, and finally connectivity with gaming hardware.